I am sorry to announce that SharePoint Saturday Arabia, scheduled to be held on December 11th has been postponed until further notice. 2. TechEd Middle East : Register Now! 3. SharePoint Conference 2011, Qatar. Register Now! 4. MS3arab Community monthly meetings: I’ll be speaking next month about SharePoint 2010. Stay tuned for the news dates for SharePoint Saturday Arabia, this will be announced very soon! SharePoint Saturday Arabia Online event is back! Following from last successful event, this online event is scheduled for DEC 11, 2010. This is the second event and we are hoping for the same success and enthusiasm from our audience. In the spirit of giving back to the SharePoint Community, the event admission will be free of charge, supported by people volunteering their time to speak on their favorite SharePoint topic. We are now taking speaker submissions. Please download the speaker submission form. There are some new questions on there that you might not have seen if you have participated in previous SharePoint Saturday events since we are dealing with multiple timezones and continents. We will take submissions only for 2010 material. Presentations will last one hour with possible Q&A continuing through the live blogging platform. SharePoint Saturday Arabia Recordings + Bonus Videos !! As I promised yesterday in my wrap-up post, SharePoint Saturday Arabia recordings are now available for download. I have just uploaded 15 hours of great SharePoint content to SkyDrive, please let me know if you have any issues in downloading the recordings! During the event, Jose Antonio Morales received lots of questions about Public Facing Sites with WSS 3.0 so he decided to create two more videos to answer the attendees questions, you can get Jose’s videos from the links below. Another question that we received more than once during the event was about installing SharePoint 2010 on Windows 7, my dear friend Mohamed Moses has done a great job summarizing the process in a short video, you can get Mohamed’s video from the link below. Thanks again for all our attendees, speakers and all people who helped me in organizing SharePoint Saturday Arabia, stay tuned for more videos on SharePoint4Arabs.com ! SharePoint Saturday Arabia was a live online, ten hour event on March 27th 2010. There were 15 Speakers,including 8 MVPs, and two simultaneous sessions running every hour. We had 750 registrants and around 150 attendees. 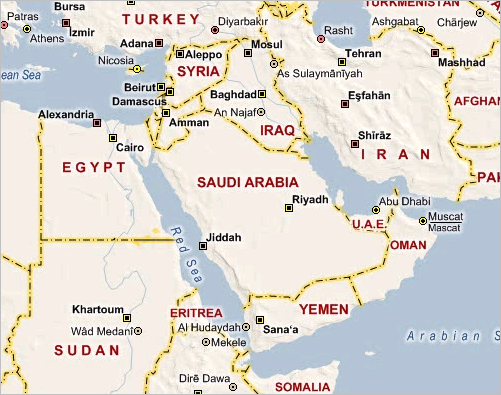 Throughout my blog, twitter and Facebook, I had wonderful opportunities to get connected with tons of nice folks in the Middle East and especially in Arabia and the one thing I have noticed in common is the thirst for SharePoint knowledge. These people are in true need for answers, they feel like they are alone, they don’t have enough conferences as with the case in Europe and America, they don’t have Visual How To’s in their native languages and they just cheer up when they come across someone who knows their struggles. The first step for bridging the gap and fulfilling the needs was creating a community channel and a place where Arab SharePoint professionals can share their expertise and hence http://www.sharepoint4arabs.com was created. 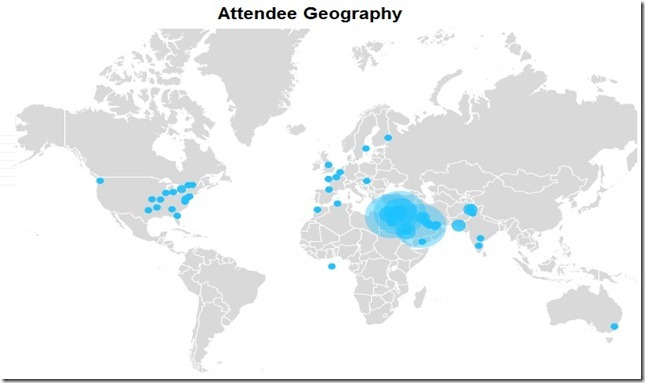 Moreover, after the great success of SharePoint Saturday EMEA and the amazing feedback I received about my Arabic session there, I decided to follow Mark Miller’s footprints and to organize a similar event with more localized content for Arabs. First step was contacting Marwan Tarek, my partner in most of my crimes and asking him to help me in organizing the event like managing speaker submissions, sponsor requests and making sure that speakers are having good and reliable internet connections. I have also contacted Baransel Dogan and Ruari Plint (MEA MVP Leads) asking them to spread the word and ask more MVPs to participate. I would like also to point out that Mark Miller (EndUserSharePoint.com) has done a terrific job putting together the lessons learned from SharePoint Saturday EMEA in a brilliant article here (http://www.endusersharepoint.com/2010/02/26/notes-on-running-a-sharepoint-live-online-event/ ), I would encourage anyone willing to run an online event to strictly follow the advices presented by Mark in this article. We had Six MVPs + Two other people who were recognized as MVPs just 5 days after the event (I am happy to be one of those). he event went very well; the speakers were punctual, interactive, and keen to share their expertise with the audience. We had one moderator per session; the moderator was responsible for keeping an eye on the chat room, managing the audience requests, passing the questions to the speakers, resolving any audio issues and recording the sessions. Egypt SharePoint User Group leaders and Ahmed Ramy from dotnetwork user group were responsible for moderating the sessions. The best part about the event was the closure. We had an interesting talk with the audience about the ways we can improve the event, whether they like this type of online events and how frequent they would like to see SharePoint Saturday Arabia. I have received lots and lots of e-mails, Twitter DMs and FaceBook messages from our attendees and people registrants asking about the recordings and the slides. I know I am late, sorry guys for this, but the recordings needed some extra work and editing, all what I need to do now is uploading them, so the recordings along with the slides will be available within 24 hours. Please keep an eye onEndUserSharePoint.Com, SharePoint4Arabs.com, SharePoint Saturday Arabia site and my blog for any updates. The first session starts at 7:00am (GMT +0 ) Marwan Tarek and I will do the intros together and then present a short keynote talk to get everthing started. Everyone should login for the first session of the day. That’s when we’ll give instructions on how the day will work and how to attend the sessions. There is no password needed, so leave that field blank. Live Text Chat for SPSArabia: We have setup a live text chat so you can participate in the discussion during the live sessions. No login is needed… ignore the password field. Each of the various tracks will have their own chatroom, making it possible to flip back and forth between tracks. To save time before the meeting, check your system http://go.microsoft.com/fwlink/?LinkId=90703 to make sure it is ready to use Microsoft Office Live Meeting. This is a “warm up” note to let you know how Live Online SharePoint Saturday Arabia is going to work (hopefully). There will be two simultaneous sessions running each hour; one in Arabic and the other in English. Thesessions schedule will be posted next Monday at most onSharePoint4Arabs.com, on the registration page and onSharePointSaturday.org/Arabia. Participants will choose a session each hour. They are welcome to switch back and forth between sessions. The session descriptions and speakers are available atSharePointSaturday.org/Arabia. The first session starts at 7:00am GMT+0. Marwan Tarek and I will do the intros together and then present a short keynote talk to get everything started. All the registrants will receive the login information and the live meeting URL during the next week. In order to hear the presentations, you will need speakers or headphones. THERE IS NOT CONFERENCE CALL DIAL IN NUMBER since this is an international event. Everything will be done over your computer. Our platinum sponsor “USPJ Academy” is offering 20 copies of “Introducing SharePoint 2010” journal issue as raffles. This issue, spanning a massive 180 pages, is the first independent book on SharePoint 2010 available on the market. SharePoint-Videos.com is offering one yearly subscription (worth $199.50) as a raffle. TekPub is providing free monthly subscription to all SharePoint Saturday Arabia attendees. Telerik is offering one premium collection license as a raffle. Please keep an eye on http://www.sharepointsaturday.org/arabia and follow me on twitter (@aymanelhattab) for up to the minute updates. Sincerely, thanks for participating in this event. We are doing our best to make the presentation process as transparent as possible. Looking forward to a great event. Ayman El-Hattab, founder of SharePoint4Arabs.com, made an announcement this morning that, following in the footsteps of Live Online SharePoint Saturday EMEA, he is sponsoring Live Online SharePoint Saturday Arabia! This is exciting news. Now that the door has been opened, hopefully more of these event will start being localized for communities that don’t have the resources to produce their own. When I received Ayman’s message, it reminded me that I hadn’t posted his recorded session from SPEMEA. His session was done in Arabic, so making it available now is a good warmup for SharePoint Saturday Arabia, coming on March 27, 2010. Also included for download is Marwan Tarek’s session on SharePoint 2010.